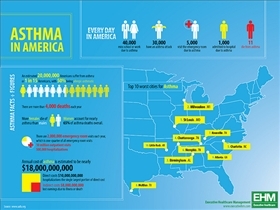 Asthma and bronchitis are two potentially serious conditions that can affect the lungs and/or the respiratory system, and the numerous similar symptoms that they share has made many people think of them as one and the same disease. While it is true that both asthma and bronchitis are a lot alike, they have enough differences to make them distinctive health conditions in their own rights. Have a read through this comparison article and you may just find out enough about them to save a costly hospital stay. Asthma is a respiratory condition that causes the bronchial tubes to go into spasms. While asthma may be worsened by factors such as a cold or dust, they don’t necessarily cause the condition. Asthma sufferers are often born with a proclivity for the condition, and it is characterized by several common cold or cough-like symptoms. As for bronchitis, the condition is typified by the inflammation of the bronchi. Most people who suffer from the condition have a persistent cough that is accompanied by copious amounts of sputum or phlem. The condition can result from smoking, or illnesses such as colds or flu. Bronchitis sufferers are often at risk for developing pneumonia. Asthma and bronchitis sufferers typically exhibit similar symptoms, which may include the common cold and cough symptoms. Bronchitis often starts off seeming like a plain cold, and the patient may have a sore throat, a runny nose and a slight fever. After a few days, the patient may develop a cough that is accompanied by wheezing and/or shortness of breath. As for asthma, the typical cold symptoms aren't always present at first, and there may be a more pronounced and persistent wheeze than you would experience with bronchitis. The airways will also usually go into spasms, and the coughs tend to be drier, with little to none of the clear, white sputum characteristic of bronchitis. Asthma attacks also often hit suddenly, while symptoms of bronchitis are almost always present while the condition remains untreated. Bronchitis differs from asthma in that most sufferers recover fully in as little as 10 days. Asthma on the other hand is far more likely to occur repeatedly, with alternating episodes of normalcy and illness following in quick succession. 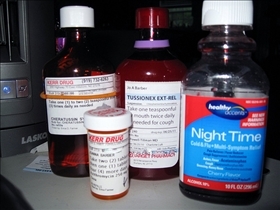 Acute bronchitis is often treated easily with antibiotics, while asthma is often treated with inhalers. That being said, asthma is often treated with corticosteroids, which is also commonly prescribed to bronchitis sufferers. Which condition goes away faster with meds? Excellent topic, After long searching I found this online that, Homestead Chiropractic Group Located in the heart of Cupertino, the leading health professionals are dedicated to helping you achieve your wellness objectives -- combining skill and expertise that spans the entire chiropractic wellness spectrum. I already took their treatment and I am really happy with their treatment that's why I just sharing my experience.